VH-ANG. 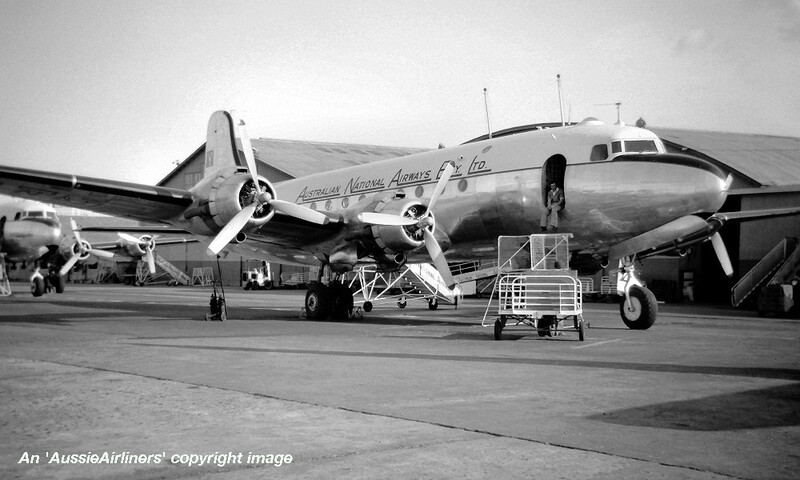 Douglas C-54A-15-DC. c/n 10347-78. Entered onto the United States Aircraft Register as NC88784 - ? Reregistered as N88784 - ? Entered onto the United States Aircraft Register as N5519V - ? VH-ANG. 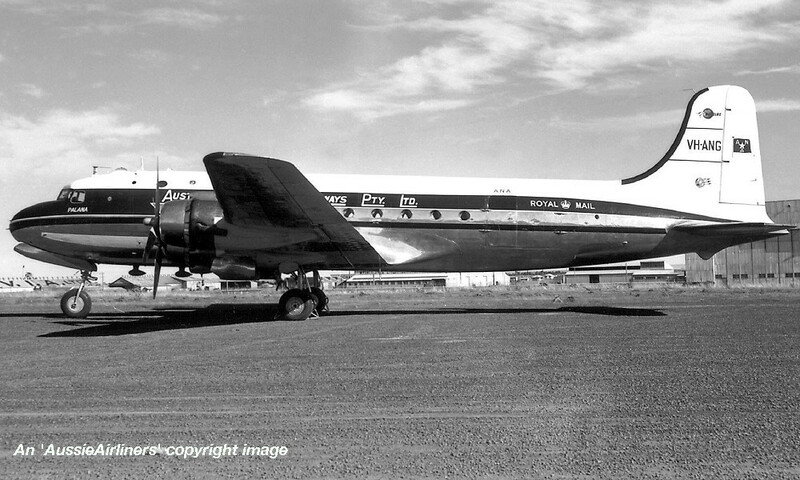 Australian National Airways Pty Ltd - 'Palana' in the revised livery at Melbourne Essendon Airport, date unknown. VH-ANG. 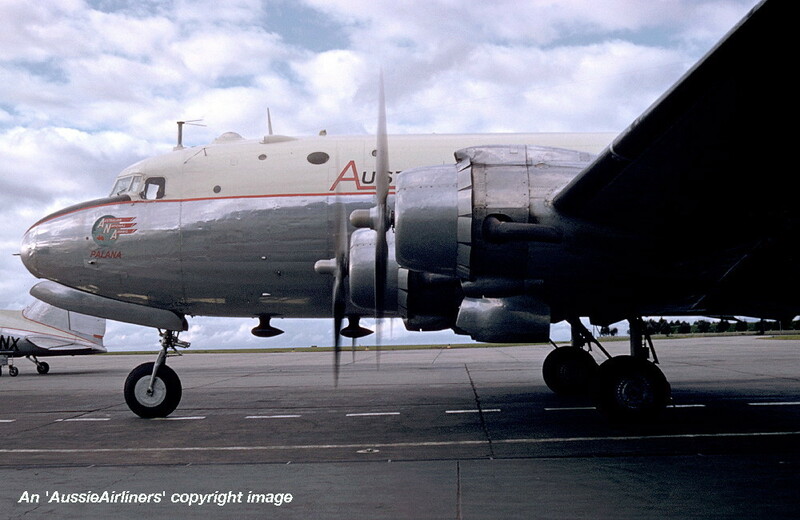 Australian National Airways Pty Ltd - 'Palana' in the revised livery at Melbourne Essendon Airport, July 1956. 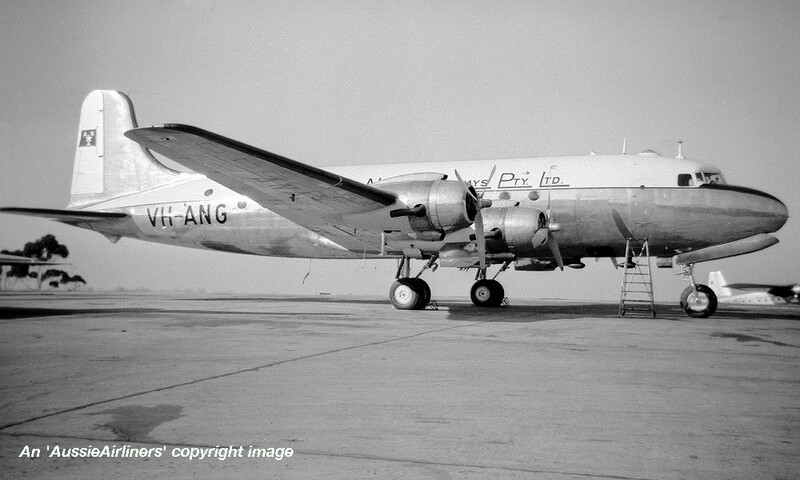 VH-ANG. 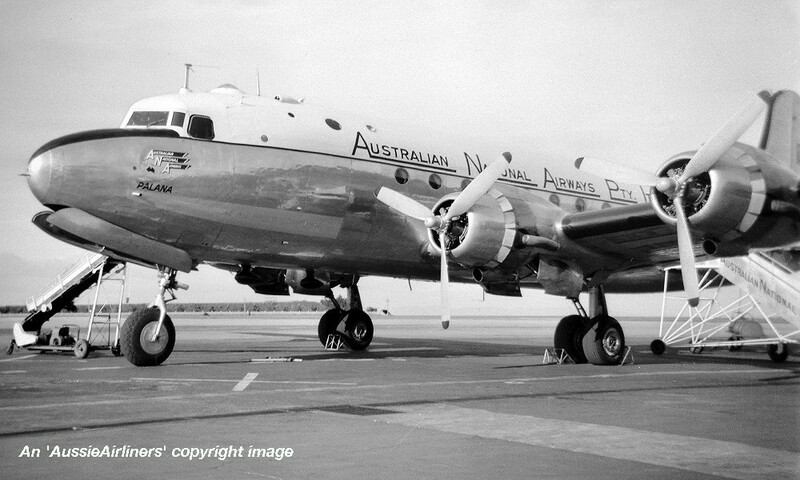 Australian National Airways Pty Ltd - 'Palana' in the final livery at Melbourne Essendon Airport, date unknown.